Money talks. Amazon has used the incentive of prize money to entice developers to create unique and quality Alexa skills..
Nick Schwab founded Invoked apps after building his first three Alexa skills in 2016. Within six months he had more.. 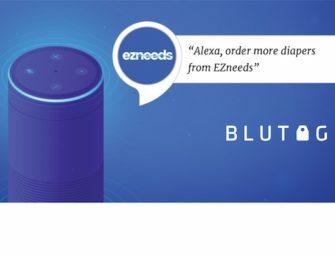 In April of this year Amazon introduced a new Alexa Skill Blueprint feature. It allowed Alexa users to create custom..
Skyrim, the fifth edition of the Elder Scrolls game franchise, was first released in 2011. Seven years later, the fantasy..
Today Amazon added three new features to the Video Skill API for Alexa. This enables subscribers of video services to.. Yesterday XAPPmedia launched a new self-service offering for podcasters called Voice Cast. The new solution allows podcasters to create a..
Steven Hansen is the CTO of RAIN Agency. RAIN is well known for its more than 30 Alexa skills launched..